With just a few days to go and less than $50 thousand from reaching their goal on Kickstarter, the team behind Star Trek: Renegades hopes to complete the second and third episodes of the crowd-funded independent fan-series. 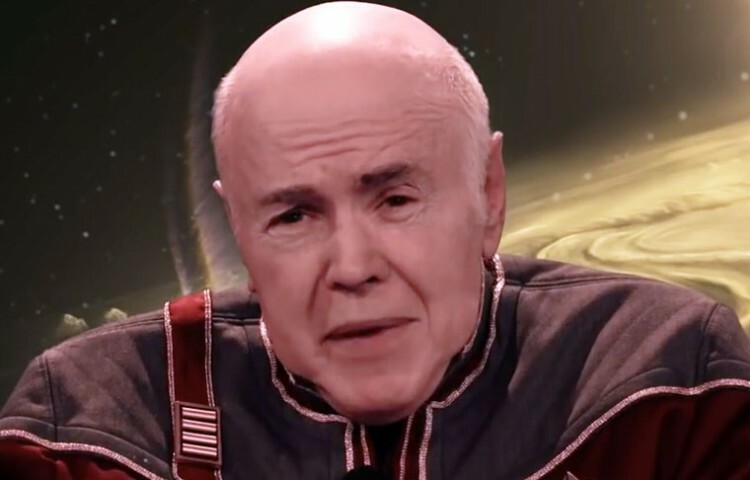 Promoted as the final on-screen performances of Walter Koenig as Pavel Chekov (now a Federation Admiral), the next installments of Star Trek Renegades will feature several other actors returning to their Star Trek roles, including Terry Farrell as Jadzia, Robert Beltran as Chakotay, Cirroc Lofton as Jake Sisko, Aron Eisenberg as Nog, and Hana Hatae as Molly O’Brian. Additionally, Tim Russ will return to the role of Tuvok, Adrienne Wilkinson as Lexxa, Gary Graham as Ragnar and Corin Nemec as Alvarez, from the first episode. In order to be funded, the project must hit its goal of $350,000 by Wednesday, December 2. You can watch the Kickstarter pitch below. To help support the next two episodes of the series, head over to Kickstarter. Star Trek Renegades is an independent, fan-funded and supported Internet television series, executive produced by Sky Conway. Renegades features a combination of familiar Star Trek character and actors, plus a collection of hot, new rising actors. Set a decade after Voyager’s return from Delta Quadrant, ST: Renegades focuses on a team of fugitives, who are on the run from the Federation while secretly working for the head of Starfleet intelligence, Admiral Pavel Chekov (Walter Koenig) and Tuvok (Tim Russ, who also directs) to root out internal corruption within the Federation as well as external threats. Together, Chekov and Tuvok secretly assembled this new elite strike-force, consisting of rogues, outcasts, and criminals, led by the fearless, yet haunted daughter of Khan Noonan Singh, Lexxa Singh (Adrienne Wilkinson). The Star Trek: Renegades’ Pilot stars Walter Koenig (reprising his role as Admiral Chekov), Adrienne Wilkinson, Sean Young, Manu Intiraymi, Gary Graham, Robert Picardo, Corin Nemec, Bruce Young, Tim Russ, Chasty Ballesteros, Edward Furlong, Courtney Peldon, Larissa Gomes, Richard Herd, and Herbert Jefferson Jr., and introducing Crystal Conway. If you’re not yet familiar with Star Trek: Renegades feel free to watch the entire feature-length pilot episode currently on Youtube with over 760,000 views. You can watch the first episode of Star Trek: Renegades for free on Youtube.